Beautiful piece of cherry wood with wonderful character & tones with live edge walnut shelves. It can be hung or displayed in other ways. 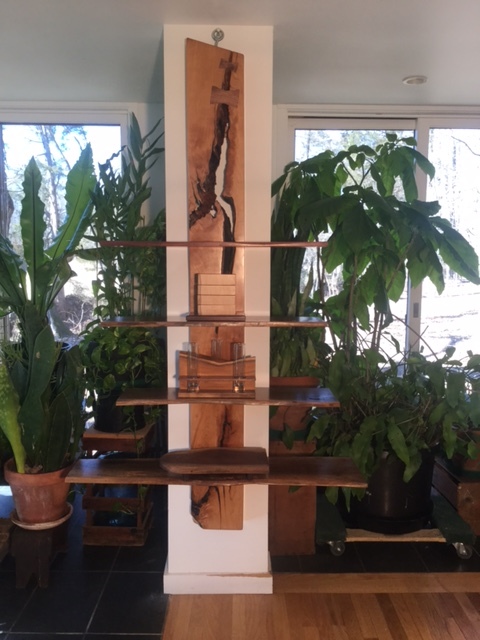 Cherry Post is 79" x 9" x 3"
Widest shelf is 46" and narrowest is 34"
This sculpture is available and can be shipped. For more information email larry@larryricci.com or call 267.614.3659.